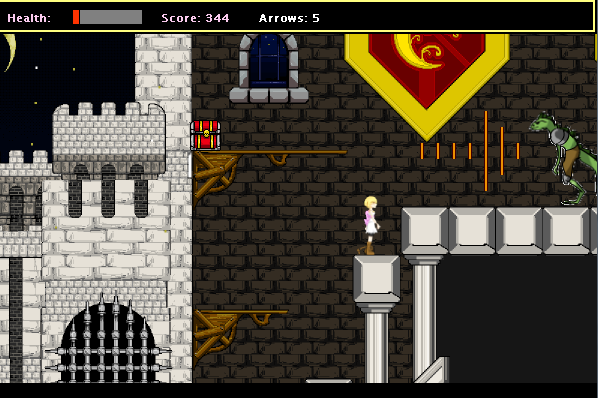 This game was a team effort with myself and 4 other students, for a contest called Games4Girls. The contest is run by University of Illinois. The objective is to make a 2D game, of any kind, targeted toward a female highschool-age demographic, with the restriction that we use Game Maker. 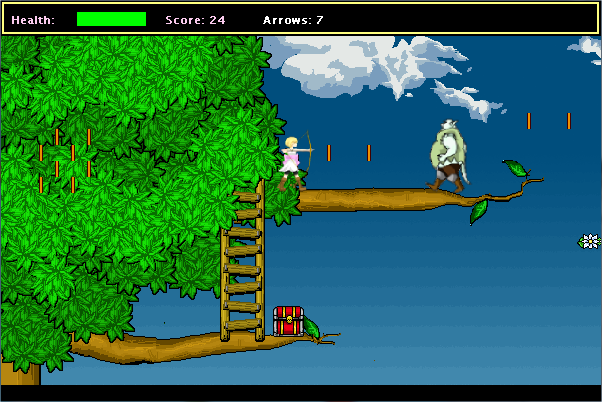 Game Maker is a proprietary program used for scripting 2D games, using a C-like language. The choice of Game Maker had something to do with problems with past entries that depending wide assortment of platforms/runtimes; many games wouldn't run. So, they ruled that all entries had to use Game Maker. Because there were restrictions on using copyrighted content, we created all the graphics and music ourselves. My personal role was creating graphics, getting them into the game correctly, and help with coding. Overall the project was a lot of fun to work on. The levels contain various enemies and obstacles, oriented left-to-right. 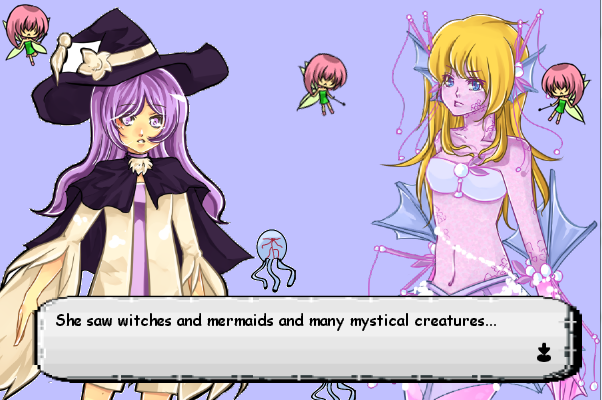 The game includes some dialogue segments, illustrated by our group. The dialogue provides some story background to the game.